A law firm which is a dynamic network of specialists who are champions for their clients’ strategic goals. The law firm is committed to operating on the cutting edge of legal practice. 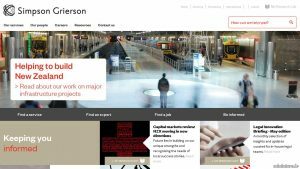 Simpson Grierson is one of New Zealand’s leading commercial law firms, and also one of the largest.